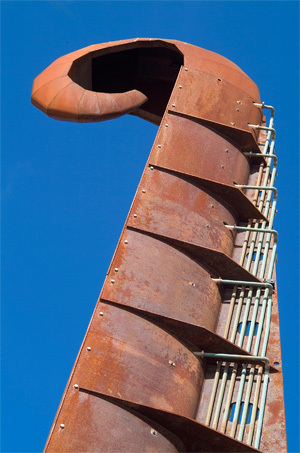 Organ pipes contained in the sculpture are sounded by the swell of sea water at high tide. 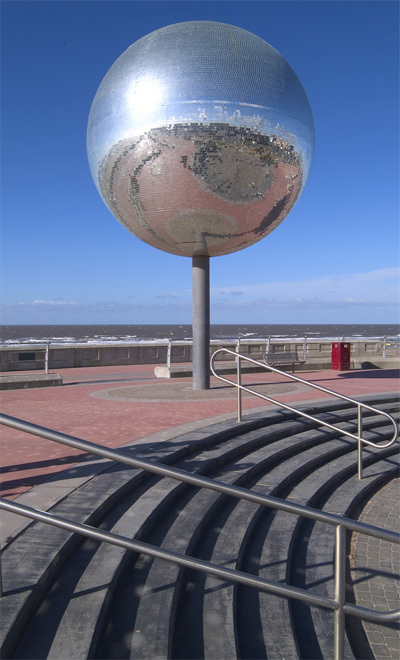 The world’s largest mirror ball. The shelter is mounted on a bearing an turns its occupants away from the wind and rain.